In our previous post, we covered the story of how CGS was founded by President and CEO Phil Friedman. 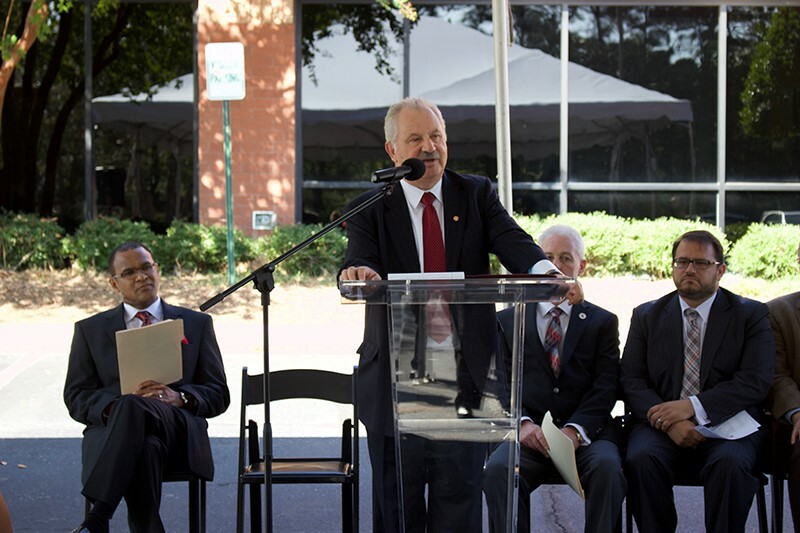 In this story, we will feature CGS’s most historical achievements in honor of the company’s 35th anniversary this year. 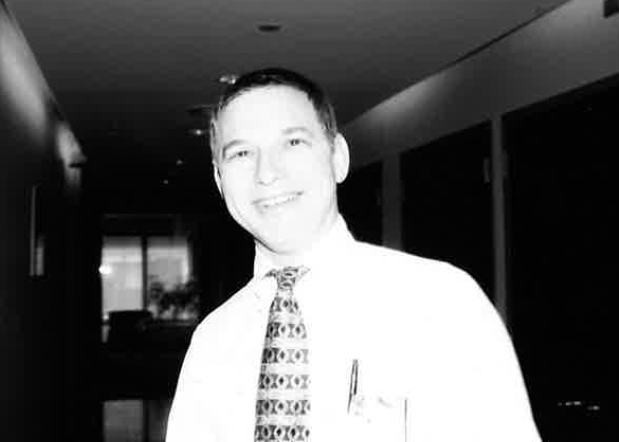 Under the leadership of Phil Friedman, CGS first opened its doors on April 1, 1984, as an IT consulting business dedicated to the apparel industry at the heart of New York City. “We started with only five people and are now over 7,000 employees in North America, Latin America, Europe, the Middle East and Asia,” said Friedman. During the first few years of CGS, Friedman’s organization was primarily serving the New York City’s garment district through an apparel software package called ACS Optima. The company’s original client was Charles Greenberg & Sons, which had been Friedman’s previous employer. “I still remember the day when we started with just a handful of programmers and limited space in an old storage room,” recalls Marina Novick, Director of Implementations at CGS and a 35-year employee of CGS. or one product, but be able to provide many different services under one umbrella. While apparel software solutions remained a core part of CGS in the early ‘90s, the company grew beyond its role as a fashion systems integrator with the creation of its learning services department in 1991. When Rhoda Cahan joined the team as a Training Services Manager to run the learning department, there were only three other departments: helpdesk, consulting and the application solutions division, which targeted the garment industry. There was no human resources or legal department at the time. In 1994, CGS’s CEO was very driven to grow his business in the apparel industry. He was becoming increasingly unsatisfied with the lack of research and development ACS was investing into the ACS Optima product. Eventually, Friedman purchased the intellectual property rights to the package and began to steadily innovate the product. As a result, he garnered significant clients in the apparel industry. In 1996, Friedman was named Entrepreneur of the Year by Ernst & Young, Inc., Inc. Magazine, Merrill Lynch and the City of New York due to the growth across all divisions of his organization. These designations put CGS on the map as one of the fastest-growing, privately owned tech companies in the U.S.
“The first year I joined we cracked 100 million dollars in revenue with only about 500 people on the team,” recalls Heringer. Under Magel’s leadership, BlueCherry grew from a single order-to-cash system to a complete end-to-end supply chain solution, encompassing ERP, PLM, planning, manufacturing, logistics, B2B eCommerce, shop floor control, warehousing and collaborative supply chain management. In 2001, CGS also won its first major global contract through the Learning Division. Cahan’s team placed over 100 instructors in U.S. military bases. She had just one month to not only recruit the instructors, but to train them as well. The engagement was so successful that it led to a five-year contract with the Air Force to place instructors in ten different countries around the globe. CGS also experienced its first official expansion outside of the U.S. with the extension of the CGS Learning Division by its purchase of Certify Online in 2001. Prior to its acquisition, this Canadian company was led by Doug Stephen. His firm specialized in providing learning and training services to other businesses. What made his company such a critical piece to the CGS puzzle was that it had the second highest concentration of WebSphere experts in the world. At the time, WebSphere was a highly sought-after software product that performed the role of a web application server. When Doug’s company was still a contractor to CGS, Friedman decided to pay the Canadian firm a visit during a cruise in Saint John. After the purchase of the Canadian learning company, Doug Stephen became the Senior Vice President of the Learning Division and Country Manager of CGS Canada. Since 2001, the CGS Learning Division began to integrate other types of technology in its offerings. The company started to get recognized as a leader in the learning industry and became the preferred training team to many large-sized businesses in the early 2000s. As of today, the CGS Learning Division trains seven of the top Fortune 500 companies. The CEO of CGS was also determined to expand its other divisions outside of North America. He continued to take CGS to new heights by aiming higher once he achieved one goal after another. “Every time you achieve a short-term goal, you set a higher goal, and you redesign the vision. This is how I operate,” recalls Friedman. Throughout the 1990s, CGS had over 10 offices dedicated to outsourcing services in the U.S. This included facilities in New Jersey, Georgia and Florida, which are still operational to this day. As global tech companies grew in the early 2000s, so did their need for tech support and outsourcing needs. CGS stood poised and ready to meet this demand. By 2004, the company had over 1,000 employees with the opening of its first customer support center and R&D services office in India – the same office that recently celebrated its 15th anniversary in February. Two years later, CGS purchased Easycall Communicatii SA in Bucharest, Romania, rebranded as Computer Generated Solutions Romania, to provide services in 18 foreign languages through six different call centers. Pictured above: CGS Opens its new 55,000 square-foot facility in Atlanta in 2017. In the next ten years, CGS continued to expand its Outsourcing Division by purchasing Prego, SA, in Santiago, Chile, and rebranded the entity as Computer Generated Solutions Chile, to provide services to Latin America and to other Spanish-speaking countries. Eventually, CGS would grow its headcount in Chile to over 3,000 team members. In 2015, Friedman set out to open an office in Netanya, Israel which now delivers services to current and potential clients in Hebrew, Russian and Arabic, as well as additional support for French. “A lot of what CGS does is under the radar. Phil often says we are a well-known secret,” said Heringer. Over the last 30 years, the CGS BPO team provided outsourcing services to industry-leading global brands including retailers, health care providers, technology and telecom providers and global hospitality organizations. Most recently, CGS was named the gold winner of the 2019 Stevie® Award in the “Contact Center or Customer Service Outsourcing Provider of the Year” category.